Husky Liners Quad Caps - Dezod Motorsports Inc - Home of the automotive performance enthusiast since 2002. Protect your truck’s bed rails from scratches and dents caused by everyday wear and tear with Husky Quad Caps™. 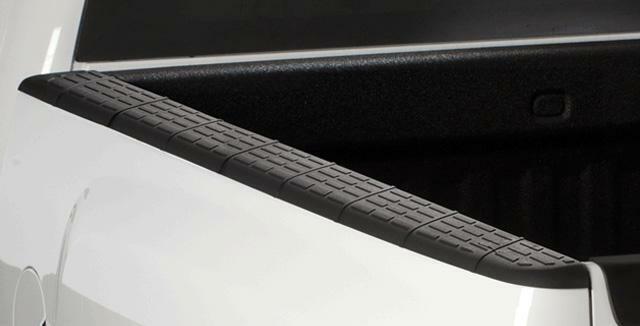 Each truck bed rail is protected by a 2-piece cap; once installed the seam is completely hidden by the cap’s unique styling. Manufactured from highly durable TPO material… Husky Quad Caps™ are thicker and stronger than most other bed rail cap protectors on the market and come with a lifetime guarantee against cracking and breaking. Rugged styling with a factory matched look. Quad Caps™ include removable stake pocket covers and install easily with 3M™ foam tape. Like all Husky Liners® products… Quad Caps™ are proudly designed and manufactured in the USA.